Some days it feels as if the only thing standing between you and more “senior moments,” is a dash of hope followed by a BUNCH of prayers. But new research has uncovered a novel way to put the brakes on cognitive decline. And it comes to us straight from the Holy Land. The lands around the sparkling blue Mediterranean Sea are more than JUST the birthplace of Christianity and faith. They appear to be the origin of natural medicine, too. Experts have long praised the Mediterranean diet for its heart benefits. It’s been linked to better bone health. And eating like a native to the region could help keep you slim. But now researchers say adopting this way of eating… which is heavy on good fats, plant-based foods, legumes, nuts, and whole grains… could benefit your brain too. As a part of the Health and Retirement Study, researchers at the University of Illinois at Urbana-Champaign recruited more than 5,900 volunteers. Folks were asked all about their eating habits. And they completed several cognition tests to measure their memory and attention. Plus, all the participants had MRI scans to see how well their brains were still firing. And blood samples were taken to measure their nutrient levels, as well. 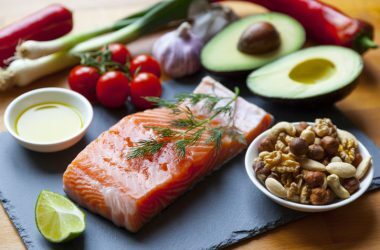 This unique combo of tests allowed researchers to make a direct (and rare) comparison between diet, brain function, and nutritional status. And it turns out older folks who were eating a Mediterranean-style diet were giving their brains a BIG edge. In fact, they were 35 percent less likely to have a low score on their cognition tests than their peers who weren’t eating Mediterranean. Even the folks who ate the Bible-inspired diet only on a part-time basis saw some significant benefits. They were 15 percent less likely to get a low cognitive test score. In fact, when it came to keeping the brain sharp, the Mediterranean diet beat the well-known DASH diet. And the results were right up there with the MIND diet, which was designed to prevent Alzheimer’s disease. This is just the latest research to confirm that embracing the Mediterranean diet can help you live a longer and healthier life, of course. But now we know it can ALSO help you hold on to your memory while you do, too. There are plenty of resources out there to help you get started on a Mediterranean-style diet from books to videos. And you can even find Mediterranean diet plans online for free. But if you want to get started on building your steel trap brain right away it’s easy. Go ahead and drop the processed and highly refined foods and junk carbs from your diet. Toss in some free-range organic poultry or grass-fed red meat a couple of times a week. And if you’re a fan, a glass of red wine with dinner is fine too.